The good old days were so much simpler. Car buyers would hit the weekend newspaper classified ads and head out to dealerships; advertising and marketing was a matter of updating the circular, publishing the ads, putting out new hangers and ordering door clings. Things are a little more complicated today. But it’s not a bad thing. Digital channels have empowered consumers during the car shopping process, and in doing so they have also brought greater reach and vastly more power to dealership marketing. Today, car buyers and dealers are closer than ever throughout the journey. As the retail industry downshifts from a long period of growth, a new dynamic is taking shape, one that impacts the effectiveness of traditional metrics and KPIs. Known as “The Quality Gap,” dealer website traffic, on-site shopping activities and VDP views are continuing to go up – showing interest – while actual sales don’t seem to correlate. Does that mean dealer website traffic is less valuable? No. But it does mean there is a gap between the shopping activities that are happening online and actual buying behavior. It also means that the quality of the content shoppers are seeing and how relevant it is to them has become increasingly important in order to influence a car shopper to buy your car from your dealership. For maximum marketing effectiveness, dealers need to know which of these online activities are true indicators of shoppers who are closer to buying a vehicle. The point is that shoppers almost never follow a linear path to purchase, even within proven behavioral patterns such as visiting third-party sites to research and shop. In other words, they get to the transaction – but it’s a far more circuitous journey. When a consumer takes a step toward their next car purchase on your website or shows up at your dealership to complete the sale, you’ve probably set up conversion tracking to help determine which online marketing tactic initiated that buying behavior. This data helps you know how to best allocate your marketing dollars to generate the most conversions. But these “last-click” metrics increasingly paint an inaccurate picture of your digital marketing performance. Unfortunately, the last search, ad, or referral link clicked on directly before the conversion often gets all the credit when the big picture is actually far more complex. A car buyer may start out clicking on an ad before doing searches on various vehicles, visiting various OEM, third-party and dealer websites, and doing additional searches before finally visiting the dealer websites and/or brick-and-mortar dealership before finally converting. This car buyer journey to conversion can be compared to a soccer game where the ball is usually passed between several players before one of them scores a goal. If you’re coaching a soccer team, you are interested not only in the performance of the player who finally scored the goal – you would want to see how all the players worked together to score the point. Understanding the entire team dynamic is the best way to develop a strategy that will help your team score again and again. It’s the same in online marketing. The websites and advertising that assist in the vehicle sale are often more important than the final link clicked before conversion. It’s easy to see how traditional digital metrics and KPIs, while useful, are limited in telling you what happened. Attribution, on the other hand, helps you see the bigger picture and plan for what’s next. 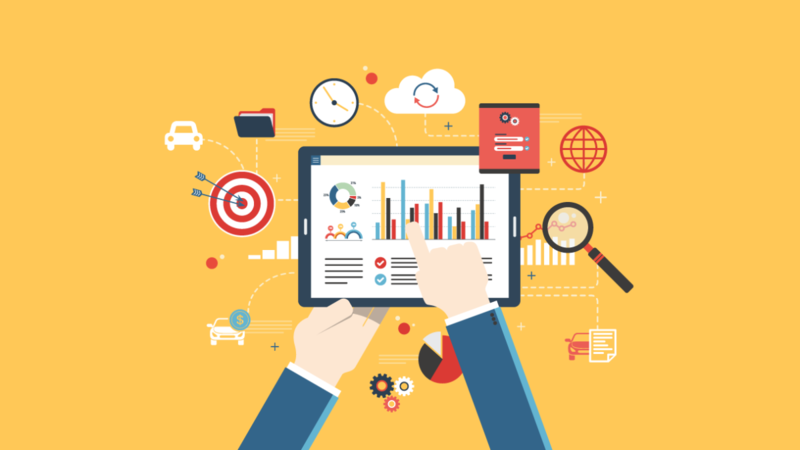 With all this in mind, how are dealers supposed to optimize their digital marketing? In a bottom line business, the bottom line of digital marketing is that it can be hard to accurately show how a dealership’s digital spend results in actual car sales – the only metric that really matters. But imagine being able to capture the ways that car buyers interact with all your online marketing channels before conversion, so that you can determine the best total mix of tactics to influence them. And now imagine being able to connect online activity to in-store sales so that, in addition to understanding where your marketing dollars are best applied across your audience, you gain deeper insight into buyer demographics and preferences and how to better target like-minded consumers. That reflects the difference between metrics (what a consumer did) and multi-touch attribution (being able to accurately predict what a consumer is likely to do and then connect it to sales). Indeed, the point of multi-touch attribution, which is based on a data-rich collective portrait, is to expand and fine-tune the ability to connect online shopper activity to car sales. Because of Cox Automotive’s comprehensive view across the automotive ecosystem and beyond, billions of anonymous buying “signals” are collected and connected (compliant with Personally Identifiable Information(PII) industry practices). Algorithms are then used to create models that answer core questions about shopper intent: what they will buy, how they will buy, their purchasing power and their personal interests. Armed with this knowledge, dealers can target specific audiences with unforeseen precision. Instead of a “spray and pray” approach, a connected digital marketing campaign can target only the relative handful of consumers within a geographic location who are genuinely ready to buy a specific vehicle type within a certain time frame. The increase in ROI and speed of closing sales can be significant. Relevance sells. Anyone who has browsed the “recommended for you” section of Amazon knows that curated shopping experiences provide convenience and enable shoppers to find relevant merchandise faster, which is key to building brand loyalty. Multi-channel attribution, combined with analyses of online activity, can bring new levels of customization and automation to dealer marketing strategies, with a direct and measurable impact far beyond the number of sales transactions attributed to a dealership’s CRM by traditional digital marketing metrics. It also brings us closer than ever to our customers, their lifestyles and preferences. It’s a powerful and exciting way to reach out and engage with people – and create long-term relationships. According to Dealer.com, more than half of car buyers return to the dealership website within 90 days of their purchase date. That’s something to think about when assessing the lifetime value of a customer and why connecting with them along their journey matters. Learn more about how our Digital Marketing team, can help you optimise your digital marketing spend in the Australian market.